I don’t know what it is, but there is something really special about a unique drawing of me and my pet! I could have 100 of them and, not to mention, being able to experience all of the variety that each artist has to offer. I love art and I love my dog, so why not combine the two as often as I can?? 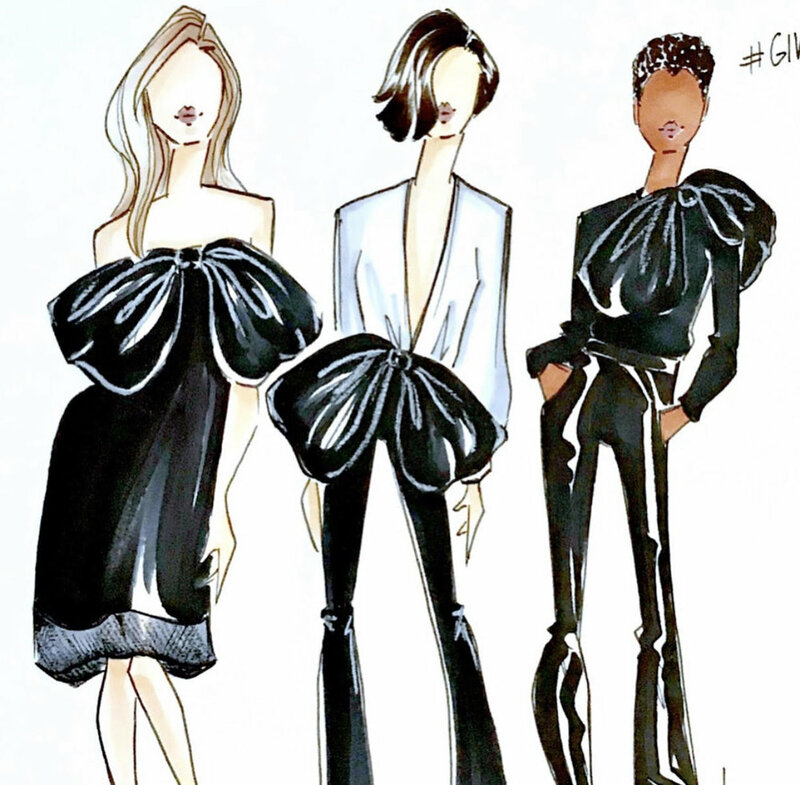 This artist in particular, Lori Burt, combines her love of fashion and graphic design to create one-of-a-kind illustrations that will leave you feeling like you belong in a Vogue magazine! She captures everything from you and your furbaby, to you and your loved ones, or just a fun print of girls night out! We got to know Lori and asked her all about her thriving business, and what inspires her to create these unique and glam illustrations! I’ve always loved drawing and creating, and about 8 years ago, when I was back in school to get a degree in Graphic Design, I was doing some research for a project and found a Fashion illustrator that really inspired me- Brooke Hagel, and the rest is history! Fashion illustration is so whimsical and fantasy-like that I fell in love with illustration. I began sketching as a hobby and about 2 years ago, I decided to make it a business! Rodger is a barn cat rescue who had a flea problem when we got him and has now grown into a proper, red-headed gentleman who prefers the company of nobody.. Unless they will let him outside. He attempts affection by awkwardly laying on your knees (so as not to get close enough to be pet) and then getting down 5 minutes later. Bixby is a shelter rescue who is only 7 months old, but has already obtained a weight problem.. He loves food, like, really really loves food. -It’s okay Lori, we won’t hold it against you! We may be biased about dogs, but you have love and passion for rescue pets and we can’t ask for much more than that! Many other illustrators influence my work, three of whom are Brooke Hagel, Kristine Young Joo Steiner, and Minjee Kang. I love a good balance between the high fashion world and the everyday look. I love the JCrew catalog, as well as InStyle Magazine and Marie Claire. My favorite designer right now would have to be Delpozo, and I just went to the Dior exhibit at the Denver Art Museum and it blew me away!! Well, since my fashion illustration business is still pretty young (I’ve only been doing this as a business for about 2 years now), I feel like there is something new everyday! I am constantly adding to my Etsy shop, and my Pet Portraits will be available soon, if they aren’t already! I also have been live-sketching with different brands, which I LOVE! I have two events with Neiman Marcus this Spring, and hope to have more exciting events this coming Summer and Fall! I’m also always looking to collaborate with influencers and small business owners! I love supporting other women in business! That is one amazing and powerful woman! Not to mention, extremely talented! Please do yourself a favor and order your very own custom illustration on her website and go check her out on Instagram !